One of the most fundamental ideological features of Korean cinema is alienation, yet the topic is almost always at the fringes of the narrative, accepted as a commonplace backdrop against which the protagonists reside. Oh Dae-su was sadistically kidnapped, imprisoned, and isolated for years in Seoul in Oldboy; Mr. Kim attempted suicide due to the stress of city life, and found a private paradise in Castaway on the Moon; and Yang Mi-ja expressed her loneliness and repressed passion through art in Poetry. Yet in each instance it was not their loneliness that drove the narrative forward, despite the central role in which it played in characterization. In Remember O Goddess (나를 잊지 말아요) director Lee Yoon-jung explores the concept of alienation in conjunction with identity in contemporary Seoul, constructing a fascinating and enthralling psychological noir that exemplifies the incredible quality of Korean independent cinema. The delicately nuanced scenes, the intellectual-yet-comedic dissection of contemporary identity, as well as an arguably career-best performance by lead actor Kim Jeong-tae (김정태), combine to create a 25 minute short film that easily surpasses the majority of feature length productions. N.B. Before reading the review, you can watch the 25 minute short film at the official website here. Remember O Goddess is a sophisticatedly crafted, character-driven study of a man searching for his identity. Rather than focus on bombastic or shocking scenes, director Lee Yoon-jung emphasizes the subtleties of the protagonists’ dilemma as he attempts to piece together his fractured self. The manner in which this occurs is part-satire and part-capitalist critique as the man scours his belongings for clues, investigating the most minor details in order to discover what kind of man he truly is. This leads to moments both comedic, as he attempts to (re)discover smoking, and poignant, as he silently stares at the vast and densely populated cityscape before him. Relationships are also wonderfully deconstructed throughout the film, as the man desperately clings to any form of connection that his circumstances allow. Yet in doing so he highlights the artificiality of contemporary relationships, as well as the (im)personal barriers and the impatience of citizens. Such artifice is eloquently interrogated as those in the service industries are polite yet superficially so, rapidly displaying frustration at the man’s naivety and innocence. Director Lee Yoon-jung showcases her skill during such delicately nuanced scenes – including the relationship with the female store clerk, and a comedically tragic phone call – conveying a plethora of visual and narrative motifs and emotions that define the existence of a contemporary city lifestyle. It is not an exaggeration to say that in his role as the amnesiac man, Kim Jeong-tae is absolutely sublime. His performance is staggering and conveys an actor fully dedicated to inhabiting the role, as his subtle mannerisms and awkwardness highlight the intense vulnerability of a man pushed to the brink of desperation. Whether the scene involves reporting himself as a missing person or merely attempting to acquire the date, Kim Jeong-tae simultaneously exhibits fragility, curiosity, loneliness and anguish seemingly effortlessly. Despite such high-level praise, Remember O Goddess suffers from one minor issue. This is not related to any of the creative talents involved in producing the film; the reason is, rather superficially, due to the limiting running time. The film is clearly a prelude of a feature film, awash with potential that literally demands further exploration which a greater time limit would allow. As such the film functions as an introductory segment of a promising narrative, a declarative showcase of the talent the conglomeration of individuals are capable of. This is where you can help. 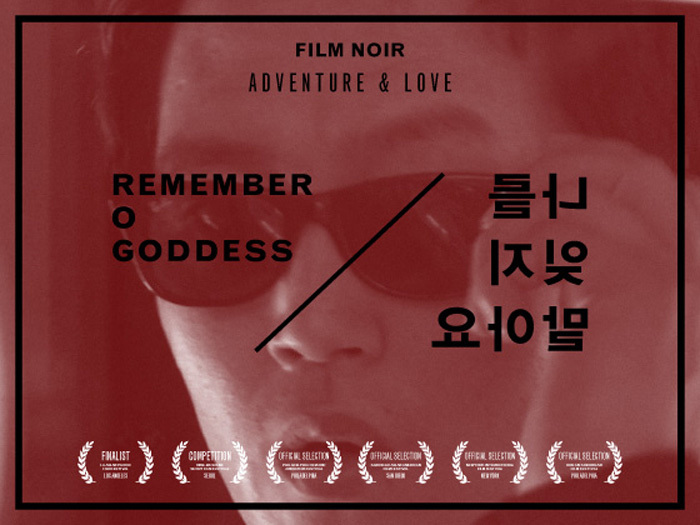 Director Lee Yoon-jung is seeking funding to produce the feature-length version of Remember O Goddess via kickstarter. Please visit the website here to read all the information and to donate to the project. The film is clearly well worth supporting and the cast and crew are fully committed to the production, with all money raised going into the production itself. I love Korean cinema – many thanks for this tip! !